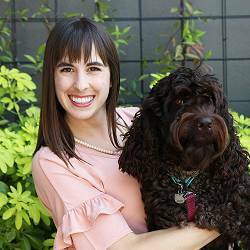 Mary Rothlisberger, ACAS, MAAA, associate actuary at Trupanion pet insurance company, will lead a VetMedTeam CE webinar, “By the numbers: Examining top health risks for dogs and cats,” scheduled Sept. 19. VetMedTeam, an online resource offering free continuing education to veterinarians, credentialed veterinary technicians, and practice team members, is hosting a RACE-approved, 1 interactive credit course on evolving patient health trends. “By the numbers: Examining top health risks for dogs and cats,” led by Mary Rothlisberger, ACAS, MAAA, associate actuary at Trupanion pet insurance company, is scheduled to go live Sept. 19 at 2 p.m. Eastern. The webinar will highlight current medical condition trends for veterinary patients, including by age and size, as well as some popular purebred dog breeds, and shares how teams can incorporate this information into patient services, from diagnosis to client education. Further, Rothlisberger will share analytical data from Trupanion medical database records, including expected treatment costs. For those unable to attend the live webinar, VetMedTeam will notify members when a free self-study course becomes open for enrollment. All who enroll in the live webinar, regardless of live attendance, also will receive emailed information. Membership in VetMedTeam is free and open to all members of the veterinary practice team as well as veterinary and veterinary technology students. Click here to register for the webinar; click here to find answers to FAQs. Email questions to webinars@vetmedteam.com.